Monarch Air Group provides private air charter in Amarillo, TX. Our clients benefit from top-notch service, unrelenting dedication to safety, wide selection of aircraft, and years of experience in chartering private jets. To obtain a free quote, please use our online quoting tool provided below, or call toll free 1-877-281-3051. Monarch Air Group provides private jet charter flights in and out of Amarillo, Texas, USA. 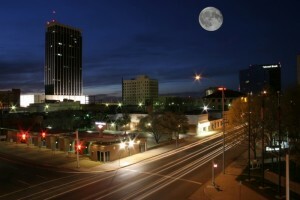 Amarillo is an industrial and commercial city in northwestern Texas, in the Panhandle. With the population of about 190,695 people, it is the 14th most populous city in the state of Texas. The total area of the city is 90.3 square miles. The most popular tourist attractions include Don Harrington Discovery Center, Amarillo Botanical Gardens, Jack Sisemore Traveland RV Museum, American Quarter Horse Heritage Center & Museum, Globe-News Center for the Performing Arts, Wonderland Park, Big Texan Opry, Amarillo Zoo, Amarillo Museum of Art, Amarillo Art Center, Texas Air & Space Museum, Wildcat Bluff Nature Center, Splash Amarillo, Helium Monument, and much more. The nearest airport is Rick Husband Amarillo International Airport (AMA / KAMA), which is located 11 miles from the city. 1. AMA, Rick Husband Amarillo International, Amarillo, TX, United States. 2. BGD, Borger, Borger, United States. 3. DHT, Dalhart Municipal Airport, Dalhart, United States. 4. PPA, Perry Lefors Field, Pampa, United States. 5. TDW, Tradewind, Amarillo, United States. 1. Holiday Inn Express, 2806 Wolflin Avenue, Amarillo. 2. Ambassador Hotel, 3100 West Interstate 40, Amarillo. 3. Holiday Inn Express, 2806 Wolflin Avenue, Amarillo. 4. Ambassador Hotel, 3100 West Interstate 40, Amarillo. 5. Holiday Inn Express, 2806 Wolflin Avenue, Amarillo. 6. Ambassador Hotel, 3100 West Interstate 40, Amarillo. 7. Holiday Inn Hotel Amarillo, 1911 E Interstate 40, Amarillo. 8. Baymont Inn & Suites Amarillo, 3411 West Interstate 40, Amarillo. 9. Holiday Inn Express, 2806 Wolflin Avenue, Amarillo.